Tickets on Sale Tuesday 1/7/14 at Noon EST! Check back then to pick up yours! TICKETS ON SALE TUESDAY, JANUARY 7TH at NOON EST! Opera Boxes: Private elevated viewing areas w/ seating available. NB: BUYER BEWARE: Flavorus is the ONLY authorized ticket seller for this event. If you buy a print-at-home-ticket or hard ticket from an unauthorized vendor or source (ie: Stubhub, ebay, craigslist) we cannot guarantee that it is a valid ticket. Flavorus and RPM are not responsible for any counterfeit tickets and cannot provide support for any third party purchases. 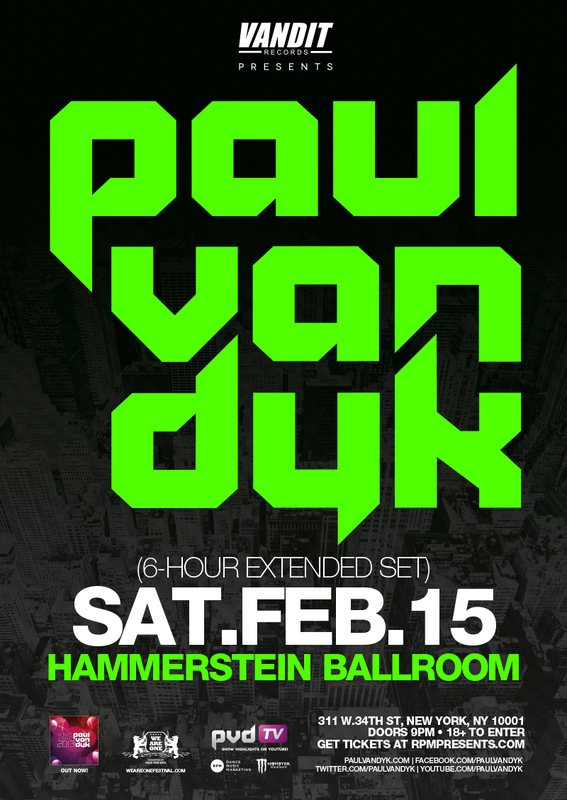 PvD and RPM have teamed up to offer one ticket-holder a chance to intern for the day with Paul van Dyk and his team, while he prepares for his massive six hour set Saturday February 15th at Hammerstein Ballroom. You will work alongside Team PvD as they prepare for the show, and then hang out backstage while Paul spins. FUSE's camera team will be there to capture all the action! If working in electronic music, media, management or event production is your dream job, this is your opportunity to get hands-on experience and a letter of recommendation from Paul van Dyk himself. 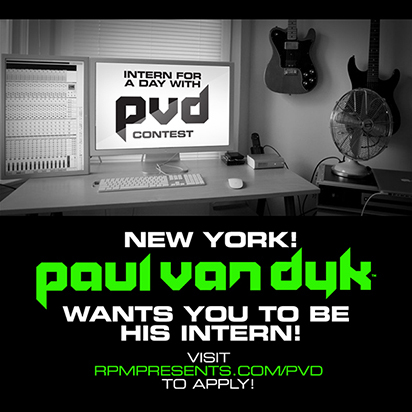 To enter, please email us at PVDintern@rpmpresents.com and let us know why you'd like this opportunity! Include your ticket order number. You may submit videos, letters, resumes, etc. - Contest open to ticket holders only, please include ticket order number with your submission. - You may only enter once, so make it count!